AlleyWatch, the largest organization focused on NYC Tech, celebrates the work of these 50 individuals that serve as a catalyst for innovation within the NYC Tech ecosystem. Take a minute to type in the name of any restaurant into Google before you read the rest of this. On the search results page, on the right side, at the bottom of the information box, you'll see something called Critic Reviews. The first result is almost always from NYC startup The Infatuation. Chris Stang and fellow music industry veteran Andrew Steinthal founded the company back in 2009 while still keeping their day jobs. In 2014, the two made the leap and quit their jobs to focus on building The Infatuation full time. The decision enabled the duo to expand beyond a straight forward restaurant review site to provide a more robust offering with news, concierge services, SMS recommendations, events, and city guides - all centered around the love of food and dining out. Under Stang's strategic direction, the company has expanded its in-depth coverage to a dozen cities and has produced restaurant guides for another twenty-five. Millions in New York City and around the globe rely on the sharp-witted, no-sense direct reviews that's become the hallmark of The Infatuation and an element that was sorely lacking in competitor sites. Stang is also the mastermind behind the #EEEEEATS Hashtag, which has been used 15M times on Instagram on posts with hundreds of millions of likes. The company's pivotal moment came in 2018 when it acquired Zagat from Google. The terms of the transaction were not disclosed but Google had purchased Zagat for a cool $151M in 2011. The transaction really put The Infatuation on the map and allowed it to increase its distribution and content offering. The company is backed by Jeffrey Katzenberg's WndrCo, Empire Angels, and Edward Lando and has raised a total of $33.5M in funding. Justin Hendrix is the Executive Director at NYC Media Lab, a public/private partnership between the NYCEDC and a number of universities in the city (SVA, NYU, Columbia, The New School, CUNY, IESE, and Pratt) that connects leading media and technology companies to universities to foster entrepreneurship and talent development. Under Hendrix's leadership, The Lab has been able to draw several marquis corporate partners that include A+E Networks, AMC Networks, Audible, Bloomberg LP, CharterSpectrum, Hakuhodo, Havas, Hearst Corporation, NBCUniversal, Publicis Groupe, Verizon, and Viacom that are looking to invest in and serve as a catalyst for innovation in emerging media across data science, engineering, R&D, and frontier applications. The Lab also operates an accelerator called the Combine for new media entrepreneurs in several of the city's universities. In addition to his responsibilities to Lab, Hendrix has found time to serve as the Interim Executive Director of The RLab, the first city-funded physical space that focuses on virtual and augmented-reality, spatial computing, and other emerging media technologies located in the Brooklyn Navy Yard. The RLab also operates its own accelerator where the companies receive $100K in investment from Super Ventures. Hendrix is also an Adjunct Instructor of Integrated Digital Media at the NYU Tandon School of Engineering. Prior to receiving his Master of Science in Technology Commercialization, Hendrix spent several years at The Economist. This foundation has served the city well ensuring that the media has a vibrant future in the city's economy. The business of beauty is a big business and we have to look no further than Emily Weiss of direct-to-consumer beauty startup Glossier for validation. With a near cult-like following, Glossier has emerged as one of the pre-eminent beauty brands for millennials. Shoppers line up religiously outside of the company's flagship locations in New York and LA for a chance to experience the brand's growing portfolio of beauty products designed for today's women at an accessible price point. Glossier emerged from Weiss's blog Into the Gloss, which she launched while working at Vogue. 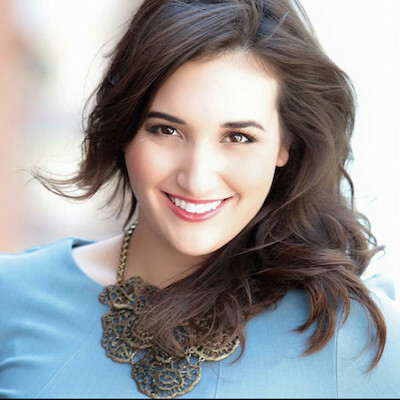 The NYU graduate scaled the blog to over 10M monthly readers sharing real perspectives on women's beauty, beauty products, interviews with tastemakers; all created for the needs of a modern woman. Sensing there was a larger opportunity beyond content, she quit her day job in 2014 to focus on building Glossier, capitalizing on a growing wave of commerce integrated into great content. Today the brand offers a suite of beauty products that include mascaras, lipsticks cleansers, balms, brow fillers ñ some of which have 10,000 person waitlists. Since its founding, Glossier has raised $86M in funding, with its last raise at a $390M post-money valuation in February of 2018. The company is backed by investors that include Lerer Hippeau, Index, Ventures, Thrive Capital, 14W, and Forerunner Ventures. According to Weiss, the company's retail presences do more per square foot in revenue than the average Apple Store, which does slightly over $5600 per square foot. Under Weiss' leadership, Glossier did over $100M in revenue in 2018 and is now expanding globally. 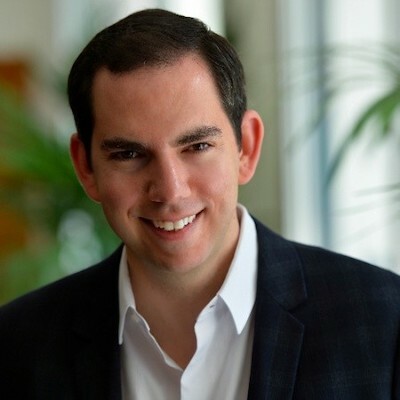 A native New Yorker, Eliot Horowitz is one of the most well-respected engineers in the city, serving as the CTO and cofounder of MongoDB. Horowitz got his start in tech early, at the age of five to be precise, rewriting code with his father. Out of college, he joined DoubleClick as a software engineer and this is where he met his MongoDB cofounder Dwight Merriman. 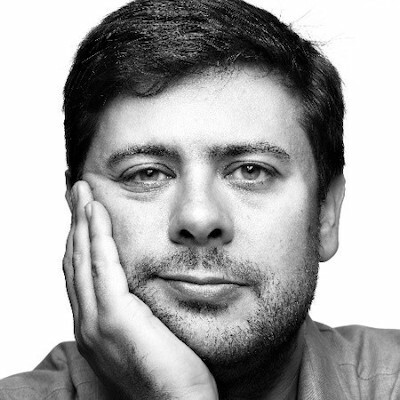 With Merriman, he went on to cofound ShopWiki, the online retail search engine that was acquired in 2010. Merriman and Horowitz teamed up with another DoubleClick vet and NYC Tech Influencers past honoree Kevin Ryan to found MongoDB in 2007. Horowitz is credited for writing the core code base for the open source database and later building the engineering and product teams for the open-source database provider. Under Horowitz's leadership and technology roadmap, the company went public in 2017 in one of the most successful New York Tech exits. Today, the stock is trading at a 52 week high, up over 3X its IPO price in an environment that has been less than friendly to tech companies that went public. An engineer at heart, Horowitz frequently blogs about software development on his personal website and maintains an active repository on GitHub. As a visionary, his advances and product design in the field of databases have been routinely been mimicked by some of the larger, incumbent cloud database providers including AWS and Azure. Active in the NYC Tech community, where he got his start, Horowitz today serves on the board of the NYC Tech Talent Pipeline, the city's workforce initiative to engage industry and deliver training and education opportunities for New Yorkers in the new economy. A graduate of Brown, Horowitz was recognized by Crain's as one of their 40 under 40 honorees in 2017. Harvard-educated Brynn Putnam has been deeply entrenched in the fitness world for over the last decade. She began her career as a dancer at the New York City Ballet and later went out to found Refine Method, a chain of boutique fitness studios, in 2010. Brynn's deep experience in the fitness world and her experience as a new mom led her to launch her next venture. When the demands of being a new mother coupled with her busy schedule did not allow her to go to the gym as often as she'd like, Putnam contemplated working out at home. She quickly came to the conclusion that the in-home fitness experience, at the time, was lacking and there was a large opportunity to be addressed. Thus MIRROR was born. MIRROR provides a nearly-invisible, interactive home gym that doubles as a full-length mirror in the background when you aren't working out. The company streams 50+ new workouts each week from its production studio in Nomad, personalizes your fitness regiment based on a number of factors, and tracks your progress. Offering an unrivaled product experience with dynamic content, MIRROR can replicate the studio boutique class experience from the most convenient place ñhome. Since its launch in September of 2018, MIRROR's has changed the concept of in-home fitness and was recently heralded as one of the top inventions of 2018 by TIME Magazine. 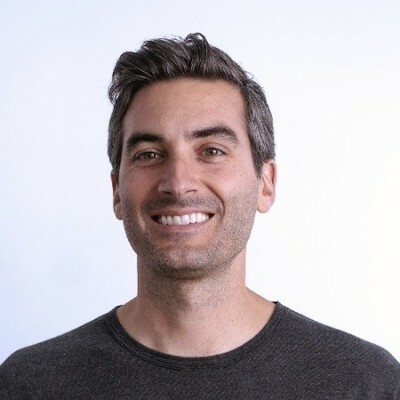 With Putnam at the helm, MIRROR has raised $38M in funding and is backed by some of NYC's top investors including Primary Venture Partners, Lerer Hippeau, and Brainchild Holdings. You may have also caught MIRROR's television commercial which aired during the Super Bowl. 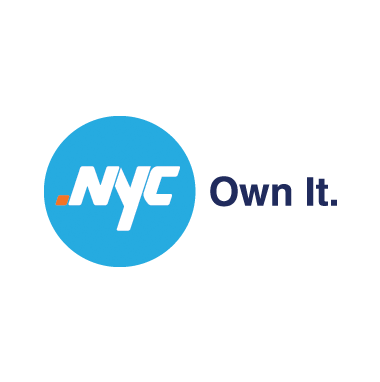 As the Official Web Address for New Yorkers, .nyc offers an innovative way to put one of the strongest brands to work for your idea, business, or organization. 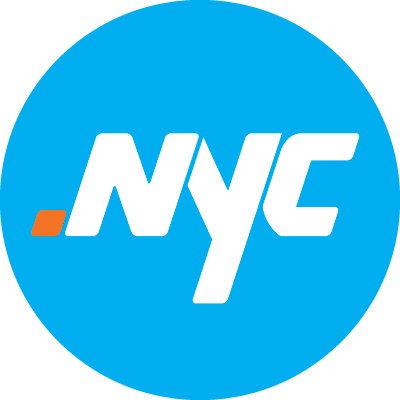 Beyond reflecting New York’s ascent as a world-class digital city, a .nyc web address reflects who New Yorkers are, online. 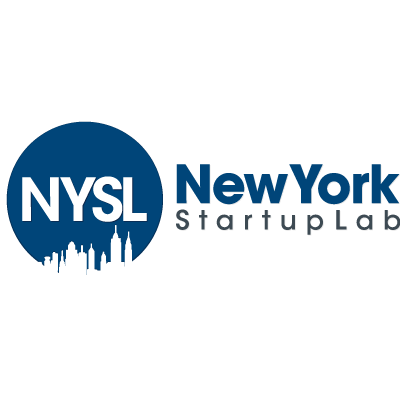 An exclusive offer just for AlleyWatch readers — for only $5.00 you’ll get your .nyc domain + Weebly website builder. Women who wear size 14+ in the United States comprises over two-thirds of the population yet only account for approximately 16% of the total spending on clothing for women. Nadia Boujarwah recognized this divergence as a massive opportunity early and launched Dia&Co with Harvard Business School classmate Lydia Gilbert in 2014. Initially started as a subscription box service that provides curated plus-size fashion items, the company has now developed a portfolio of its own brands along with a la carte options on sold through the company's website. This all came to fruition as a result of Boujarwah's own personal frustration in shopping for clothing and the lack of stylish options available in numerous phases of her life; whether she was shopping for a prom dress, working in investment banking, or while at Harvard. Boujarwah, a native of Kuwait, has been able to successfully scale the business, serving over four million customers with a team that has grown to over four-hundred employees. At its core, Dia&Co sits on valuable data that makes it much more than a subscription box service. Plus size women are more likely to shop online since there is a dearth of options available to them in brick and mortar retail. The company religiously collects feedback from customers around fit, quality, style, and price. Armed with this powerful data, it's able to provide to rich insight to the thousands of brands and retailers on its platform, who previously had a very limited understanding of the untapped plus-size market. Dia&Co's tremendous market opportunity to unlock billions in unaddressed demand hasn't gone unnoticed in the investment community. With Boujarwah at the helm, the company has raised a total of $90M in funding and is backed by Union Square Ventures, Sequoia Capital, Next View Ventures, and Maveron. Outside of the lucrative business, at its heart, Dia&Co is a purpose-driven company ñ to make retail more inclusive, allowing millions to have a healthy body image through style. Born in Singapore, raised in Australia, Shan-Lyn Ma founded Zola, the fastest growing wedding startup and all-in-one platform for managing a wedding, in her living room in Brooklyn in 2013. After receiving her MBA at Stanford in 2006, Ma joined Yahoo to work in product marketing. Ma, as a child, had idolized Jerry Yang's immigrant story of success and Yahoo was a natural fit. A few years later, she moved to New York to join Gilt Groupe, initially leading product management and that's where she met NYC Tech Influencers Past Honoree Kevin Ryan, one of her cofounders at Zola. She went on to launch Gilt's Food and Wine business Gilt Taste, serving as a startup founder within a larger organization. After a subsequent short stint at Chloe + Isabel, the entrepreneurial bug hit in 2013. An increasing number of her friends were getting married and Ma's archaic wedding registry experience at the time inspired the launch of Zola. She assembled a team with some of her former Gilt colleagues and the wedding industry hasn't been the same since. Under Ma's leadership, Zola has raised ~$141M in funding from notable investors that include Thrive Capital, Goldman Sachs, NBC Universal, and Female Founders Fund. The company's reported post-money valuation at the last funding in May of 2018 was $600M and the company has scaled to close to 150 employees. The future looks bright for Zola is it continues its journey to be one of the first female-led NYC unicorns. 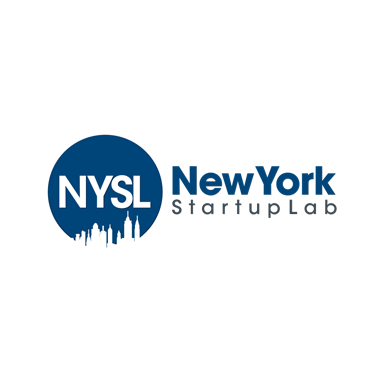 Outside of Zola, Shan has been active in supporting the next generation of New York entrepreneurs through angel investing, counting NYC companies like Unbound, ADAY, and Billie in her portfolio. Lylan Masterman is General Partner at White Star Capital, the multinational early stage venture firm, which is currently investing out of its $180M second fund. Masterman joined White Star before the first fund was formally announced in 2014, establishing the firm's NYC presence. 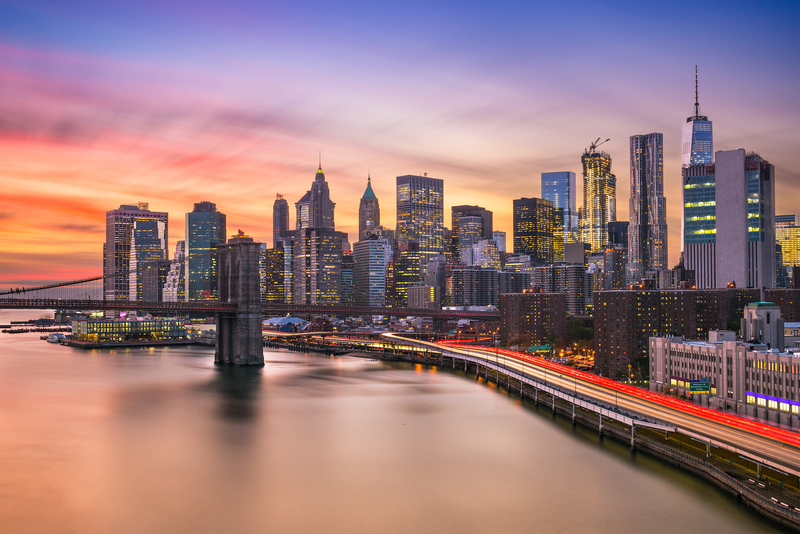 Focused on IoT, M2M, disruptive commerce, and fintech investments, Masterman works closely with NYC companies Freshly, TheGuarantors, and Unacast. 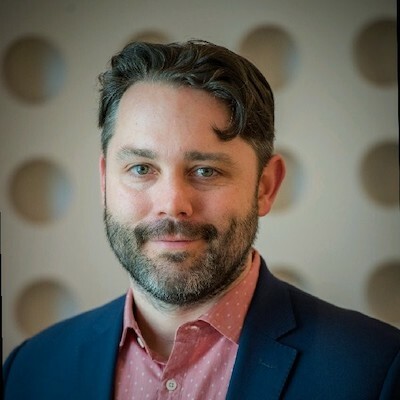 Masterman, a native of Canada, has a background in Engineering and Product with roles at Microsoft, IBM, and DoubleVerify, coupled with an MBA from Kellogg and a CS degree from the University of Waterloo. He is also a Kaufmann Fellow from Class 19. White Star maintains a focus on investing in companies that are able to benefit from expanding on an international stage. Masterman works with the firm's portfolio companies to do just that. White Star-backed founders have called him one of their most helpful, value-add investors. A noted expert in diversity and community, Elizabeth Galbut has served as a champion for building and funding gender-diverse companies in New York. At SoGal Ventures, which she cofounded with Pocket Sun in 2015, she invests in companies that are female-founded, diverse, or address a predominantly female customer base. Industry-wise, the firm tends to focus on companies that are tackling major consumer or healthcare problems in the US and Asia, with Galbut looking specializing in the intersection of design thinking and healthcare. SoGal isn't her first endeavor in venture as Galbut founded A-Level Capital, a student-run venture fund while completing her MBA/MA at Johns Hopkins. 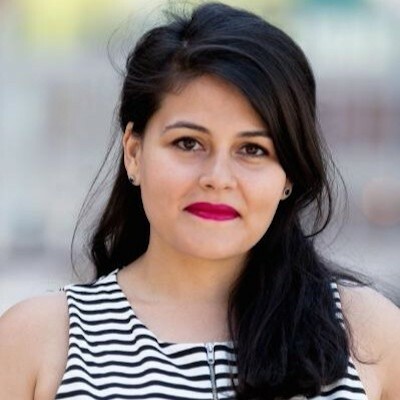 Outside of investing, SoGal has been instrumental in bringing together various constituents in the ecosystem to talk about and address diversity through a series of events such as SoGal Summit, Her Startup Global Competition, SoGal Startup Bootcamp, SoGal Influencer Fest, SoGal Beauty Fest, SoGal World Tour, and GalBoss Bootcamp. Galbut's work in fostering diversity in investment hasn't gone unnoticed. She was recognized as a Forbes 30 under 30 in Venture Capital in 2018. Committed to the next generation of diverse founders, she serves on the faculty at the School of Visual Arts for its MFA Products of Design program. When investors say they bet on "the jockey and not the horse" they may have been thinking about Ryan Denehy. Denehy started his first company Eastern Front, a sports video production company, at age 17. The company was sold two years later to BNQT Media Group. While at BNQT, where he focused on partner strategy and audience development, the company was acquired by USA TODAY. Two exits before he turned 22. At USA TODAY, Denehy oversaw the online sports and lifestyle division. The entrepreneurial bug hit Denehy and he left USA Today to cofound SWARM Mobile, a retail analytics platform for SMBs. Two and a half years later, the company was sold to Groupon. 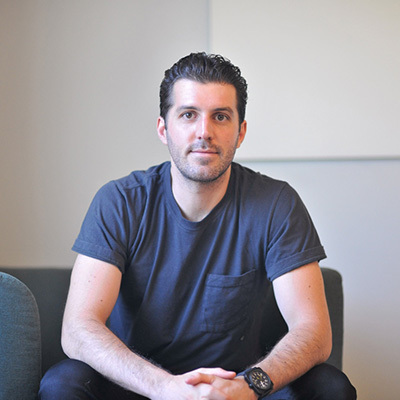 In 2016, Denehy returned to New York to launch Electric, an idea that was inspired from the difficulties he faced in IT management at his previous companies. Electric is the all-in-one IT support solution that leverages AI, automation, and chat to ensure that small and medium businesses are able to maintain their IT infrastructure at a fraction of the cost of a managed service provider. The platform allows businesses to set up a world-class help desk in minutes. Any support requested is responded to in minutes and in the event that you do require offline support, Electric will provide recommendations from a list of vetted providers. Electric is backed by investors that include Bessemer Venture Partners, Bowery Capital, GGV Capital, Supernode Ventures, and Primary Venture Partners and has raised $37.3M in funding over four rounds. Copyright © 2019 | AlleyWatch | TechWatch Media Group | All Rights Reserved.